We are sure to have the most complete selection of amazing villas currently on the market in one of the island’s most sought after hotspots. You have decided that Puerto Andratx is your favourite island location, the place you want to buy your dream villa for sale in Mallorca. We can offer you the most luxurious villas with sensational sea views for sale in Puerto Andratx’s most sought after areas such as Montport, Las Brisas and La Mola. No matter which villa style you are searching for, minimalistic or more traditional Mediterranean, or ultra-modern and contemporary villas for sale in Port Andratx are high on your shopping list – we most certainly have the prefect property for you in this gorgeous location. Take your pick and buy one of our superb villas for sale in Puerto Andratx and you will have found your dream island home. The most amazing villas are to be found here! 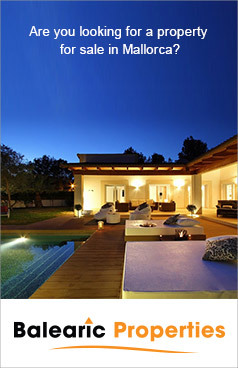 Many of the Port Andratx villas for sale are simply out of this world as far as design and opulence are concerned. Port Andratx is like a magnet, this location attracts the super rich who cannot get enough of the extrovert lifestyle the port is famous for. Here you flaunt what you have, modesty is considered to be for the faint-hearted! Villas here in the port command absolutely overwhelming sea views, some are perched high on a hilltop, like the mega villas in the exclusive urbanisation Las Brisas and owners enjoy the superb views from most rooms. Other sought after residential areas in Port Andratx are Montport and La Mola, both in elevated locations with mega views and yet only a short drive into the centre. Villas in Port Andratx are also considered to be trendsetters, examples are the famous “Seagull Villas” by the local architect Alberto Rubio or the villas in “Pueblo” style designed by Andratx’s favourite son Pedro Outzup. Whereas Outzup’s villas are not very ostentatious, Rubio’s seagull villas are super distinctive and eye-catching. Their white, curved roofs resemble a seagull’s wings (hence the name) and can be admired from afar – these villas are meant to attract attention and do they cost a fortune! Here at Balearic Properties you are sure to be able to take you pick from a very diverse selection of villas currently on the market in this millionaire’s playfield. Some villas are tucked away around the town; these owners are not seeking attention and prefer privacy to showing off. However, no matter which villa style you prefer, if you are a fan of the contemporary, minimalistic or more traditional Mediterranean design, the villas in Port Andratx and Andratx town will not disappoint your high expectations. One of the latest design crazes is a finca style villa; here rustic and ultra-modern elements are combined to perfection. These unique villas cleverly integrate traditional features like sand stone and wood in rooms such as the designer bathrooms and kitchens. Needless to say these up-market Port Andratx villas for sale also boast the non-plus-ultra as far as automation and gadgets are concerned. So after visiting Mallorca’s best investment locations, you have come to the decision that Puerto Andratx is your favourite island region and a Mallorca villa for sale here is just what you have in mind to buy! The investment aspect could not be any better, both Andratx town and the port will always be high in demand as top locations in the Med. The marina and golf course are considered to be perfect settings for social gatherings which are always combined with business. Networking in Andratx comes easily and newcomers are welcomed into a high-flying international scene. The best thing to do is: come and see us at Balearic Properties and we will get the very best possible deal for you – that’s a promise! Talk to us, we have all the key information you require regarding this region and current market offers! 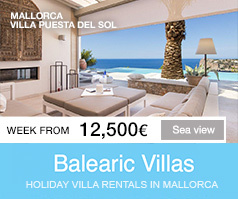 We will show you the sensational villas for sale in Port Andratx.